This revolver is not a Smith & Wesson 1907, nor even a copy of this revolver. It is acted in fact of a Spanish copy of the Colt Army Special of 1908, manufactured by Antonio Errasti in Eibar in Spain. 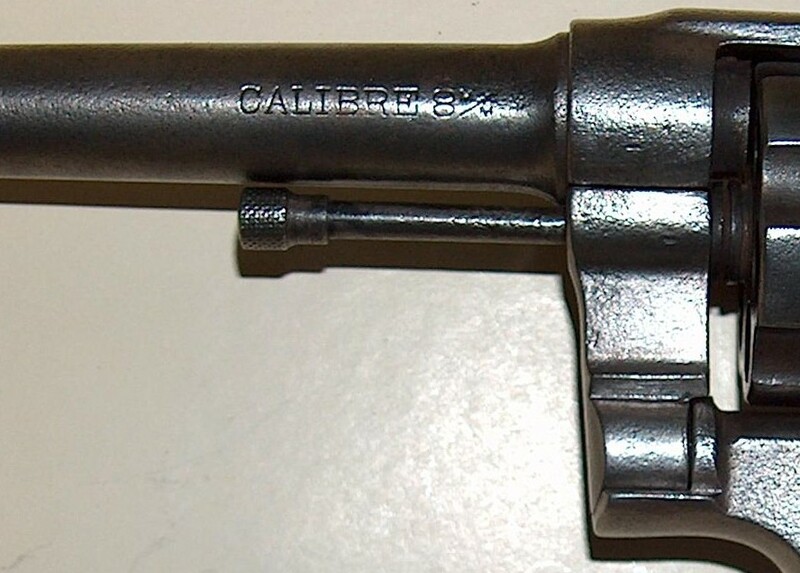 These revolvers resulted normally gauges .38 of them, but the inscription on the gun of this one clearly that it is with caliber 8 mm, what is called usually the “8 mm Lebel”. This proves that this weapon belonged to the large quota ordered by the French Army in 1915, time when the requirements out of handgun were such as the Manufacture of St Etienne could not deliver the orders any more. French being equipped with the famous Lawful Revolver model 1892 in 8 mm, they had asked the Spanish arms manufacturers to deliver these weapons in this caliber. For the latter, boring in 8 mm instead of .38 usual did not constitute a problem. This revolver is thus what the French collectors call commonly one “92 Spanish”. It is however exact that the brothers Orbea of Eibar delivered to the same time certified copies of Smith & Wesson 1907, also in 8 mm Lebel, that whose barrel turns towards the left instead of the right. The most obvious difference is consisted the latch of opening of the barrel: on the Colt - and their copies - it is about a bolt which one draws backwards, while the S&W has a squared button which it is necessary to push forwards. It is however true that the Spanish logo on this revolver, makes think of that of S&W; but it is that of Errasti. Pretty memory of the war of 14-18.